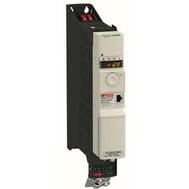 Schneider Electric Altivar 32 are constant torque AC drives which are very slim and book-style footprint with side-by-side mounting capability and the ability to accept a self-protected disconnect reduces panel space and wiring costs and are now widely used in industries. These drives are for synchronous and asynchronous motors. It delivers exceptional speed and torque control for asynchronous or synchronous AC motors to maximize machine’s performance and also comes up with safety functions for safe power removal. Subscribe to Automation-Talk by Email. This manual will help you in Steps for setting-up the drive, Programming the drive, Diagnostics and Troubleshooting, Maintenance etc.